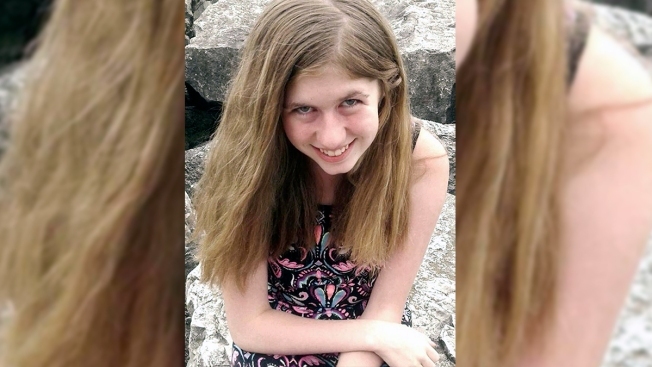 Authorities say Jayme Closs, above, a missing teenage girl, could be in danger after two adults were found dead at a home in Barron, Wis., on Monday, Oct. 15, 2018. Wisconsin authorities are scaling back their ground search for a missing 13-year-old girl whose parents were shot dead, saying Wednesday that their investigation into Jayme Closs' abduction is entering a new phase. Barron County Sheriff Chris Fitzgerald said in a Facebook post that the search for Jayme remains his number one priority and authorities will continue to analyze new leads. But he said incoming tips have declined, so authorities are transitioning from a round-the-clock reactive operation to a more methodical investigative approach. "I want to reassure the great residents of Barron County and everyone else across the nation who continue to support and follow this case that we have left no stone unturned," Fitzgerald said. Jayme has been missing since early on Oct. 15, when sheriff's deputies responding to a 911 call found the door to her family's home near Barron kicked in and her parents, James and Denise Closs, shot dead inside. Investigators believe Jayme was abducted and ruled her out as a suspect in her parents' killings. Fitzgerald said authorities have received more than 2,100 tips in the case. He said authorities have spent the last 18 days going over information from social media platforms, phone records, family members, friends and co-workers. "They have worked with passion, determination and resilience to solve this case and bring Jayme home. I am so proud of each and every one of them," he said. He thanked community members who provided investigators with meals, people who submitted tips, and volunteers who helped search for Jayme, and he encouraged others to continue to report tips that might lead to her. "Just because the posture of our operations center has transitioned, does not mean the tips should stop. We still have a team on-call, to handle them as they come in. Please continue to call in your tips — there is a tip out there that will help us solve this case and bring Jayme home," he wrote. A $50,000 reward is being offered for information that leads to Jayme.